3 century egg congee recipes for the best way to eat this bizarre preserved egg. Century egg goes very well with rice congee. Just watch the video below where a guy tries it for the very first time. There are other ways to eat it but this is the most enjoyable. Here are 3 congee recipes. This recipe uses rice porridge that has already been cooked. Visit How to Cook Congee if you do not know how to make rice porridge. I usually use lean pork or ground pork in rice porridge. This recipe uses sliced pork belly which is a bit higher in fat. We must indulge once a while too. Find the recipe for the spinach and century egg congee at the page on high blood pressure. I hope you will try this bizarre food (in small amount) and especially with my century egg congee recipes. 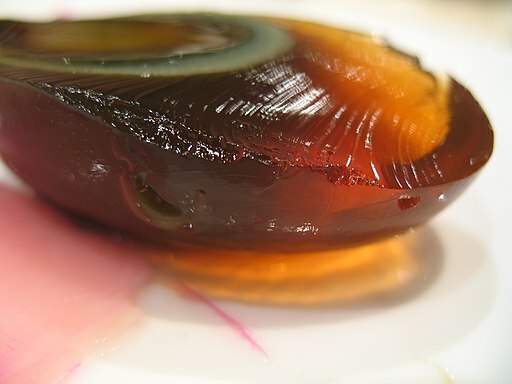 Click here for more information about century egg.